Chekiang Business Cultural Centre has construction area of 220 thousand square meter. 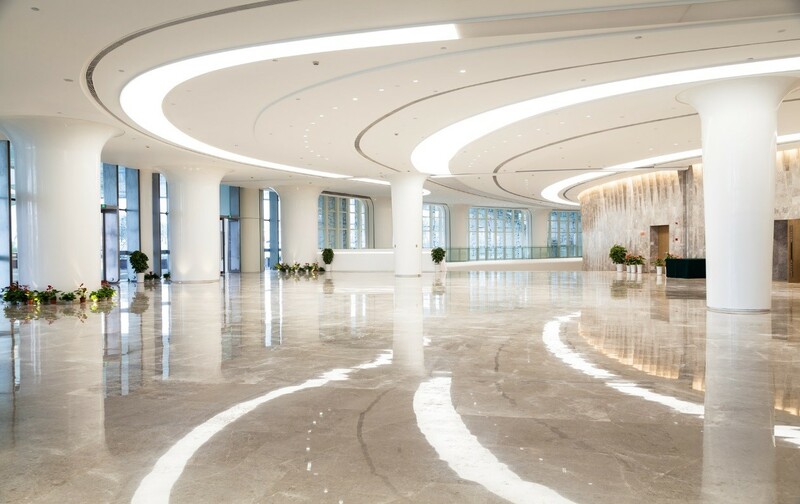 With the vision of promoting Chekiang mission and embracing Chekiang business culture, the facility has incorporated museum, social space, data analysis center, exhibition center, and training center in one place. The Chekiang Business Cultural Centre aims to become a global multipurpose platform for promoting Chekiang culture. Corian® Solid Surface is used throughout the interior to create a fusion of oriental culture and modern “cloud computing” business concept. 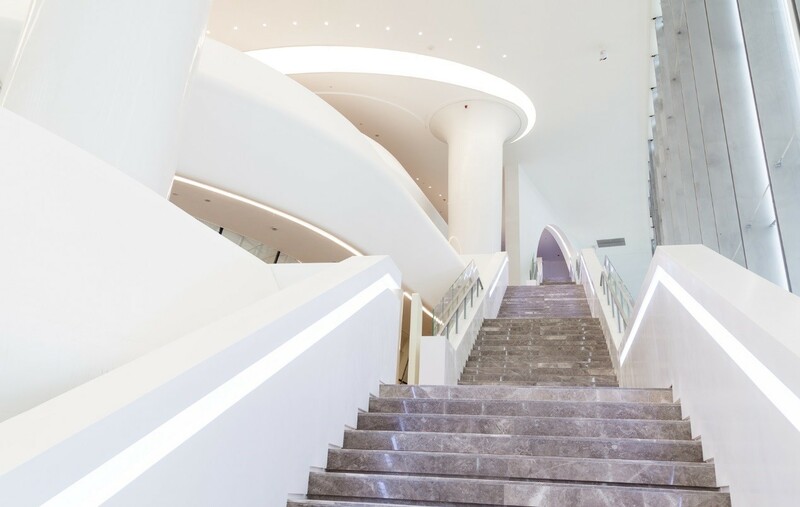 The interior claddings are seamless jointed with columns and railing using Corian® Glacier White; establishing a futuristic unified white space in the interior. The smooth and organic visual of impact space makes an emphasized statement of Chekiang business spirit. This is only possible leveraging the seamless join and thermoforming ability of Corian®. Chekiang Business Cultural Centre is the commercial hub that connects Chekiang businessmen around the world to promote entrepreneurship and economic transformation. Innovative business development through Chekiang Cultural Centre aims to take economy in Chekiang and Yangtze river delta area to a new era.